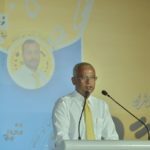 The opposition Progressive Party of Maldives led by former President Abdulla Yameen is attempting to delay the April 6 parliamentary elections, President Ibrahim Mohamed Solih said on the campaign trail Sunday. Kicking off a tour of the northern islands, Solih said he was hearing “a lot of talk” about an imminent court order to postpone the polls. 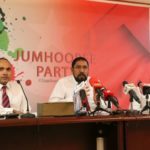 The 2017 local council election was delayed after a court ruled that the PPM did not have enough time to prepare for the polls. Solih said his Maldivian Democratic Party has learned from past election cycles. He went on to accuse the PPM of using state funds embezzled from the Maldives Marketing and Public Relations Corporation to buy votes in the 2014 parliamentary elections. According to an audit of the MMPRC released in October 2014, MVR77 million (US$5 million) was taken from Maldives Ports Limited to be paid back in dollars. 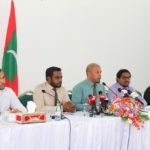 The MMPRC also borrowed US$1 million from the Maldives Tourism Development Corporation in the guise of making an urgent payment to a foreign party. In both cases, the money was immediately transferred to companies owned by former vice president Ahmed Adeeb’s father and a businessman related to him. It was withdrawn in large amounts ahead of the March 2014 parliamentary elections. “If the President Solih knows this and has evidence, take the matter to court by pressing criminal charges through the prosecutor general,” he said. 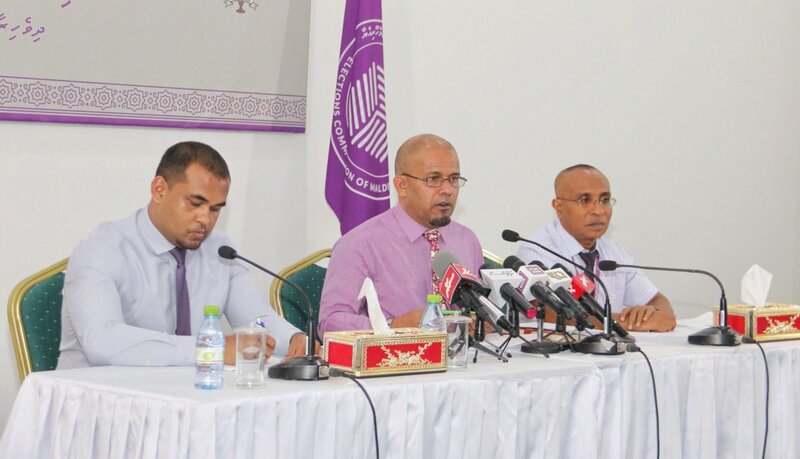 The PPM has not officially discussed seeking a court order to delay the election, he added. 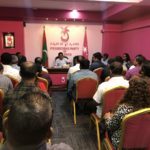 He also referred to former president Yameen’s release from pre-trial detention and the recent High Court order to unfreeze his bank accounts. “Now the court has ruled to release Yameen and unfreeze the accounts but still MDP President Nasheed is openly contesting this and saying we won’t do it,” he said. Opposition candidates have been unable to travel to their constituencies due to a lack of funds, Nihan said. 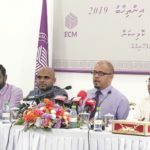 But Elections Commission chief Ahmed Shareef on Sunday dismissed the PPM’s inability to campaign as a justification to delay the elections. “We are aware of attempts and we have been ready. No court has so far notified of such a complaint being lodged,” Shareef told reporters. The electoral body has acted “cautiously” to make sure legally mandated deadlines were met, he stressed. “We have been made aware that some people are trying to delay the election claiming resort workers were not given adequate time to re-register. We will not allow that,” he said. In five resorts where the EC has decided not to set up polling stations, workers would be allowed to register to vote elsewhere, he said. All parties and candidates had the 30-day legally mandated period to campaign, he noted. “We do not have to take responsibility if the people making these claims chose not to campaign on that period,” he said. Shareef said “99 percent” of preparations have been completed ahead of the polls next Saturday. A delay now would require an estimated MVR20 million in additional expenses, he said. MP Nihan and the PPM have made it a habit to bribe judges and abuse power to rig elections. They have attempted this every single time in recent years. It’s now time to bring Nihan and his cronies both senior and junior to justice. Qasim Ibrahim and his cronies need to be held accountable as well. He has betrayed the Government coalition and joined his former jailer to continue with his corrupt activities. It’s time for our country to stand up and throw these criminals in jail. We call upon the Government to deliver justice with the votes we give them.